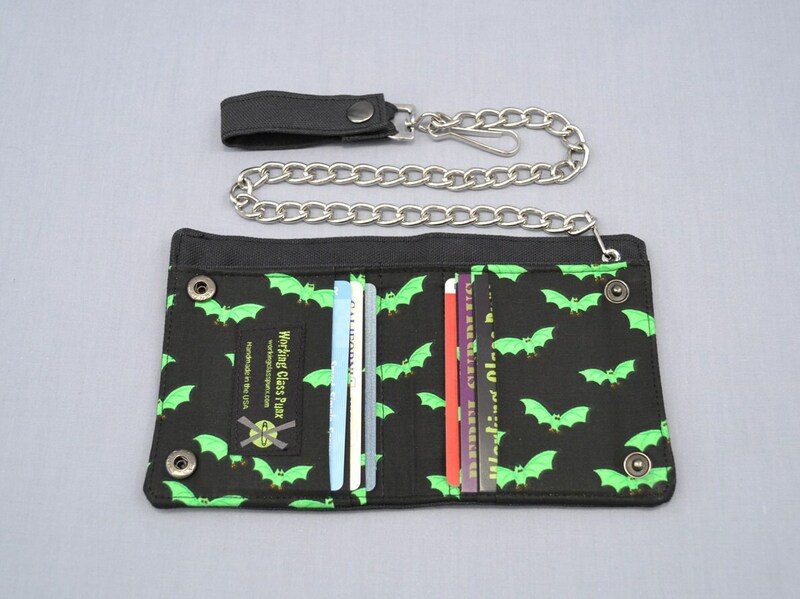 Vegan, black canvas bi-fold chain wallet features pockets made with 100% cotton little green bats on a black background fabric. 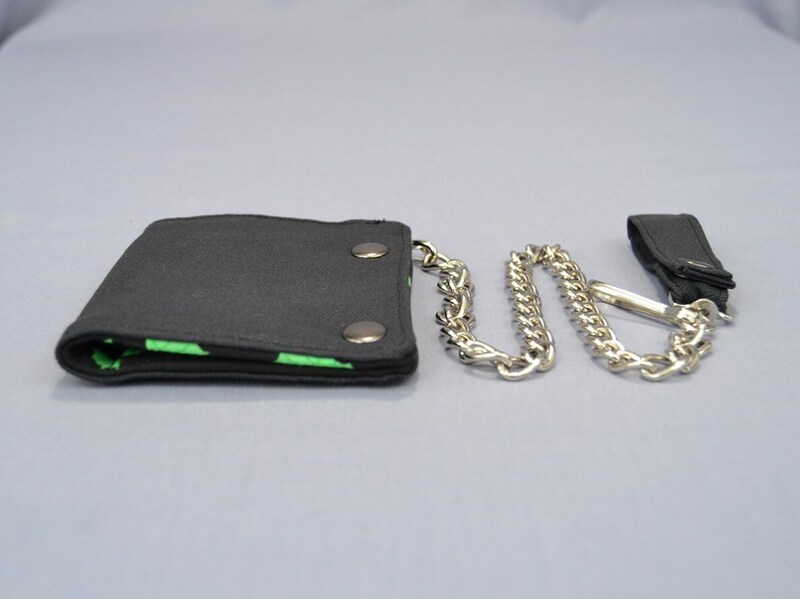 It's super durable and it looks fantastic. I love the chain!! 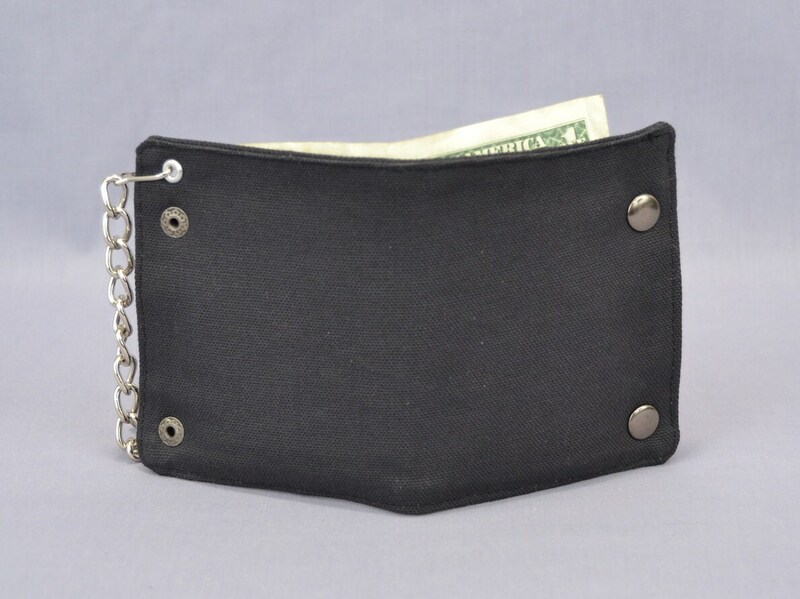 A fantastic and sturdy wallet. 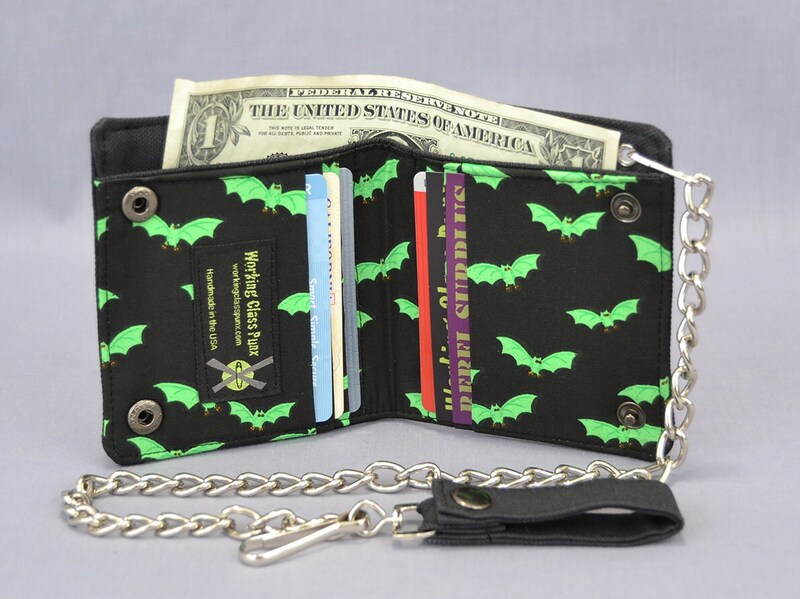 Just the right size for my pocket, with just the right pop of personality when opened. Friends and cashiers have gotten a kick out of it.